It’s fair to say this past week’s weather hasn’t been the kindest to us. So much for Bognor Regis being the sunniest town in the country, certainly not the case all year round! The rain and gusts of wind around resort are making the summer holidays seem like a lifetime away. However it’s not all doom and gloom, here at Butlin’s we truly believe rain never stops play and why should it? Some of my fondest memories as a child were jumping in puddles and playing football on a wet and muddy Sunday morning. Whether it be November or August- the weather would never get in my way! 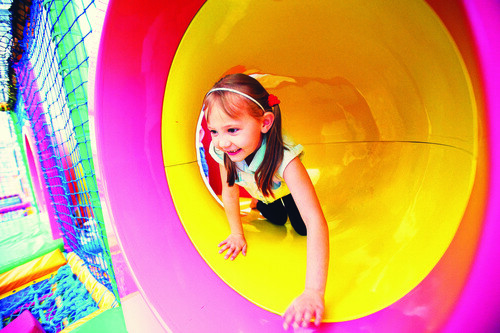 Nevertheless here at Butlin’s we understand how frustrating it must be for your little ones to have a day of activities postponed on holiday, which is why we have a whole range of activities available for when the weather isn’t all that great, after all… rain never stops play! 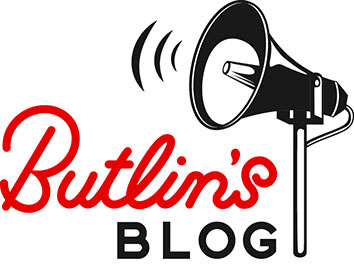 Although by no means an exhaustive list, here are some of my favourite things to do at Butlin’s whilst it’s raining outside! Fancy trying something a little bit new? 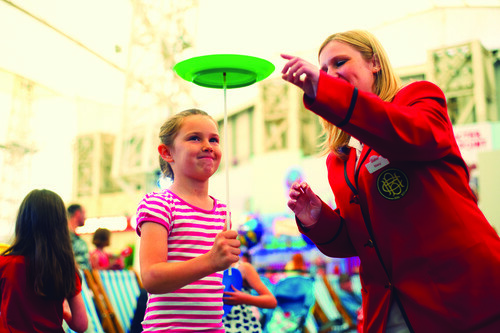 Circus skills activities are run by our very own Skyline Gang and are all included in the price of your holiday! Suitable for 5-8 year olds, why not come and learn something new which will be sure to wow your friends! Located in the centre of our Skyline Pavilion, our indoor play area is a playground like no other! There always seems to be a buzzing atmosphere around the soft play area as children play stuck in the mud and hide and seek in the ball pit! A perfect way to burn some of that stored up energy whilst Mum and Dad can enjoy a well deserved cup of tea from our Skyline Cafe! Settle down for a family film in our Skyline Pavilion, you can laugh, sing and cheer along without anyone else hearing you! A massive cinema screen appears on stage so all you have to do is grab a seat, a pair of headphones, a big bag of popcorn and we’ll take care of the rest. As we move into our Christmas breaks keep your eyes peeled for films such as Polar Express and Frozen! One of my favourites, you can’t beat a game of ten pin bowling with the family whilst drying off from the rain outside. 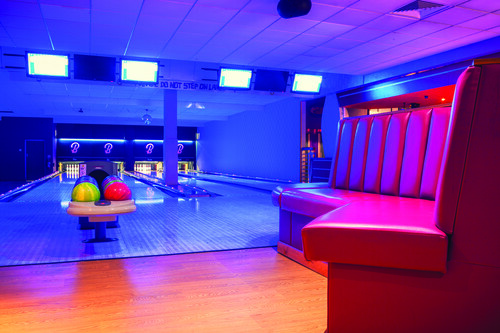 What a great way to enjoy yourself and show off your bowling skills whilst at the same time keeping that all important competitive edge and staying in the dry! Enjoy an ice cream at Scoop! I am a true believer that it is never too cold or wet for an ice cream. Infact, I would go as far as saying I’d much rather an ice cream in the cold (at least it won’t melt over you)!! 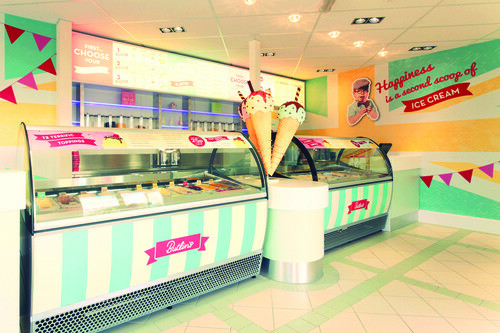 Visit our very own ice cream parlour on resort- Scoop! With over 20 flavours and 12 toppings to choose from you will certainly be spoilt for choice! Here at Butlin’s we will never let the rain dampen our holiday spirits. These are some of my favourite activities to do in the wet weather, not mentioning of course our Splash Waterworld, and wide range of entertainment! And remember… Rain never stops play!